The track sheet is a mandatory document for all organizations that use vehicles (cars, trucks, buses). The track sheetshould be indicated the name and number of the document, the validity of the sheetand information about the vehicle and its owner and driver. To consider these sheets needs in a special logbook by the approved unified form. Next track sheet is transferred to the accounting Department of the organization in order to be able to write off the cost of fuel. Write-off of petroleum products accounting has to be done every month. The accountant was able to correctly calculate the cost of fuel, trip sheete must contain fuel consumption and mileage of the car. Consumption of fuel is calculated according to the established norms, in line with the brand, car model, considering the operating conditions of the vehicle.The basic rule is measured in litres per 100 kilometers of the car. normative fuel consumption (in litres) multiply the basic fuel consumption rate, vehicle mileage (l/100 km) on the mileage of the vehicle. Next, adjust rate by using the correction coefficient.This correction factor allows to increase or decrease the flow rate based on operating conditions of the vehicle. For example, in winter, the norm is increased by 5-20%, as it increases and if you use a vehicle in the highlands.There are also amendments depending on the population of cities in which the vehicle is operated. So, in the cities, this figure reaches 20%, and in towns just 5%.10% increases the rate of running-in a new car or operate vehicle has passed capital repairs.In difficult road conditions (sand drifts, ice, etc.) the dose may be increased to 50%.The lower rate is possible with work of transport in flat terrain, outside of natural areas, on public roads. If the organization has at its disposal at least one vehicle, then it will inevitably raise the question of the accounting flows for fuel. With current prices for petrol careless approach to these costs on the principle of "how much hitting, so many sleeping", can considerably reduce the tax base, triggering outrage of the tax. The tax code provides two ways of charging fuel and lubricants (POL) for vehicles of the company. Fuel can be taken into account as material costs (clause 1 of article 254 of the tax code) if the transport is directly involved in the production process. If we are talking about management and other supporting needs, gasoline and other petroleum products are included in the other expenses connected with production and realisation (item 1 of article 264 NK). Thus, if a truck fleet of the company cars used for both these purposes, excluding fuel also need to conduct separately. 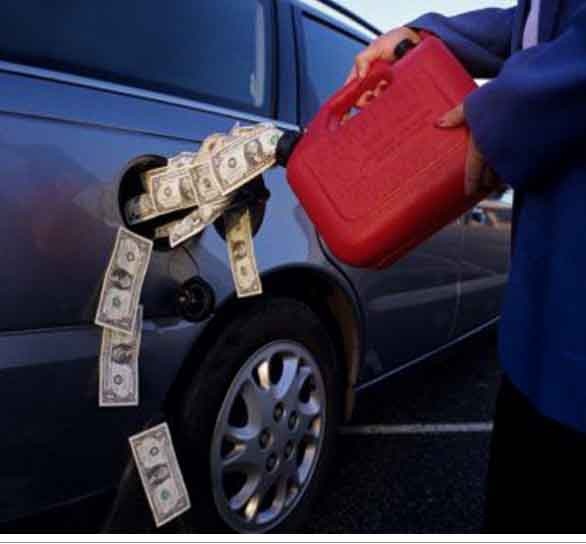 The cost of fuel should be rationed. This requirement is not explicitly spelled out in the Tax code, however, is dictated to them the necessity of substantiation of expenses to be written off for accounting purposes. For limiting fuel consumption it is recommended to use the norms approved by the order of Ministry of transport of Russia from March 14, 2008 №AM-23-R. They are Advisory in nature, however, all the financial agencies and regulatory authorities agree that if you use these rules, no problems. 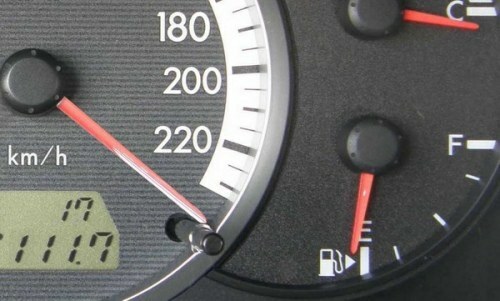 In the case, specifically if the brand of your car the purpose of this legislation is not mentioned, and the limits for it are not given, deduct the actual costs of gasolineand still can not, and need to calculate the limit yourself, using the recommendations of the manufacturer and technical characteristics of the vehicle. The calculated limit must be approved by the head of the company and registered in the accounting policy. And be prepared to prove its validity. To confirm the direct cost of fuel required two documents. The first of these directions, confirming the use of fuel for production needs. There is a standardized form of waybill is mandatory to use motor transport enterprises. Other organizations can also use this form, and can develop, containing all necessary details, under paragraph 2 of article 9 of the Federal law of 21.11.1996 №129-FZ "On accounting". The second document required to write off fuel costs - check cash register for petrol station, where he purchased gasoline. It should be specified the amount of fuel corresponding to the waybill. Data on the consumption of gasolineand add up all the waybills for the month, and gasoline is debited for the total amount. Only one cheque to write off gasoline is not enough. Norms of consumption of fuel used by the accounting Department to calculate the costs of the enterprise are established by the Ministry of transport of the Russian Federation. But if the car is not in legislation, there remains only one thing - to establish the norm of consumption of fuel on their own. - vehicle for which you want to set the rate of flow. The responsible person before the vehicle produces control measurements of fuel in the tank, and also records the odometer in a special form, which will later be used for calculations. For a certain order period, established by the legislation order is filled in waybills that indicate the car mileage and necessary details such as name and waybill number, information about the validity period of directions, information about the vehicle, information about the proprietor (owner) of the vehicle, etc. At the end of this order period, the responsible person make check metering quantity of fuel in the fuel tank, and then takes readings of the odometer, then the data is also recorded in a special form. Then determine the distance the car distance per period by comparing the odometer readings at the beginning and end of the reporting period. For example, the mileage at the beginning of the day 1.11.2011 and the end of the day, 30.11.2011. Then define the consumption of fuel during the period based on the number of filled fuel in the tank plus the rest of the day 1.11.2011 and the remainder at the end of the day, 30.11.2011. In the future, determine the amount of fuel consumed per 100 kilometers according to the following formula: QP / SN *100 km, where QP is the flow rate of fuel during the reporting period. SN - mileage for the reporting period.The results of the calculation acherousia. Further developed the norm of consumption of fuel claims by order of the head of the organization. Then it can be used for the calculation of fuel costs. Independent development of consumption norms is a time consuming process. To ease this task, divide it into several steps. Keep in mind that different vehicles can be used for additional correction factors, determined by their design feature. It should be noted that these standards is also possible to use coefficients for winter and summer operation of the vehicle. To develop their own standards based on the need to take the actual fuel consumption of the vehicle, not normative. This will take into account more influencing fuel consumption factors.